A prize at the end of a game or challenge is always an incentive to go all the way to the end, with money, travels, cars or apartments on the beach being the usual rewards. Nevertheless, here you have a game with a final prize that is none of the previous items, although the creators of the game assure that it will change your life. 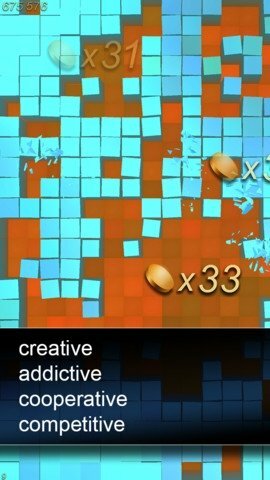 Download Curiosity and have fun playing the most addictive collaborative game. Curiosity consists in chipping away at a surface of a giant cube made up by several layers to reach the prize hidden inside. All players are chipping away at the same time, and the prize will go to the person who removes the last piece of the last layer. The game's success, as its name indicates, is based on people's curiosity, as the latter is leading millions of players around the world to play compulsively. Will it be you who unveils the mystery? Achievement system based on the fact that players become more powerful the more they chip away, and their power to destroy pieces increases. Create text and images chipping away shapes on the surface of the cube. Observe the cube's evolution over time. Each layer contains a surprise. 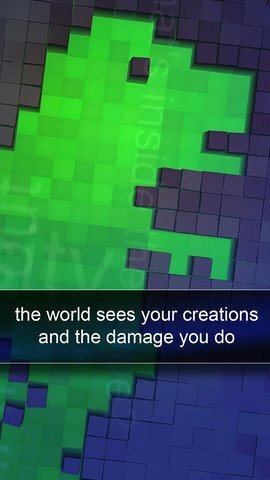 The good thing about Curiosity isn't to destroy pieces and that's it, you can let out all your creativity by drawing on the surface or leaving messages for the rest of players. It all depends on your skill. 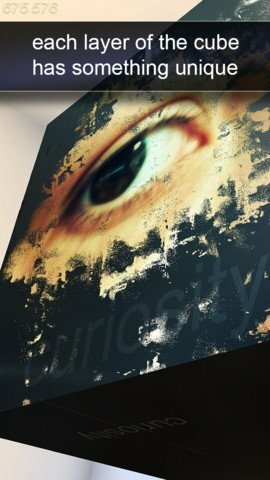 Download Curiosity free for iOS and discover the greatest mystery ever presented on a mobile application. Compatible with iPhone 3GS, iPhone 4, iPhone 4S, iPhone 5, iPod touch (third, fourth and fifth generation) and iPad.